Not just a high-tech metropolis, the Japanese capital captivates as its urban forest dazzles with stunning colour. Burning red, acid orange, lustrous gold, cool-flame yellow. The urban forest is on fire, but only with the colours of autumn. In the parks of Tokyo, from mid November to mid December, the city is ablaze with colour. And Tokyo is, indeed, a city of trees. 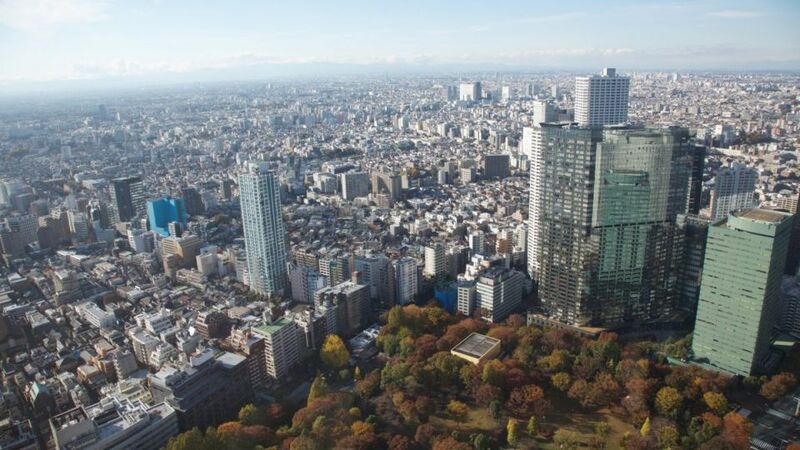 In 2006, the Tokyo Metropolitan Government drew up a 10-year “Ideal Tokyo” plan — a project to green this city, whose total conurbation now includes 38 million people. It included planting a million trees by the end of 2015. The government planned to “regenerate Tokyo into a beautiful city surrounded by a corridor of water and greenery”. And, true to the national character, this has been achieved. There are more than 70 species of trees across the city — ginkgo and Oriental planes are the most common. But that’s far from where the story ends. And camellia … japonica glistens. The city is a poem of colour. This is a favourite spot for seeing autumn colour, and a great example of traditional Japanese landscape gardening. There’s a good high view from the rise around the Togetsukyo Bridge. Maples line the canal by the Tsutsuji no Chaya teahouse. This is a favourite with locals. Koishikawa Korakuen is also of traditional Japanese landscaping, with three ponds. The biggest is surrounded by maples, which put on a dazzling display of orange and red. Several other picturesque autumn spots can be seen around the park's three main ponds. This big park usually has quite a long autumnal season, from mid November to mid December. Head for Japanese garden and the Maple Mountain (“Momijiyama”). In Meiji Jingu Gaien Park, this is a great spot for ginkgo trees — immaculately trimmed and turning gold. And there are plenty of sidewalk cafes along the street. The Japanese-style Ninomaru Garden is the best spot for autumn colour. But all around Edo Castle’s walls, there are ginkgos and other trees. It is a wonderful, spacious park. An hour’s train ride west from the centre of Tokyo, Mt Takao is a nice walking spot, and popular for autumn colour. There’s a network of walk trails and a cable car or chair lift to take visitors part of the way to the 599m summit. A green oasis in this massive city, Meiji Jingu forest and shrine, in the Harajuka area of Tokyo, is a placid place. The forest covers 70ha and has 120,000 trees, but its heart is the shrine to Emperor Meiji, who died in 1912. He played a part in events leading to the restoration of imperial rule in 1868. Keio Plaza Hotel Tokyo is a good base in Tokyo. See keioplaza.com or phone +81 3 3344 0111.